Rock Bottom Brewery & Restaurant is one the most tenured breweries in Portland. Located in the heart of downtown and a stone’s throw away from the convention center and hotels. Rock Bottom Portland brews fresh local beers and a group dining menu that everyone will love! Located in the heart of our brewery, the Mill Room has seating for up to 25 guests for a plated dinner or 20 guests for a buffet and is perfect for a sit down meal or small cocktail style reception. 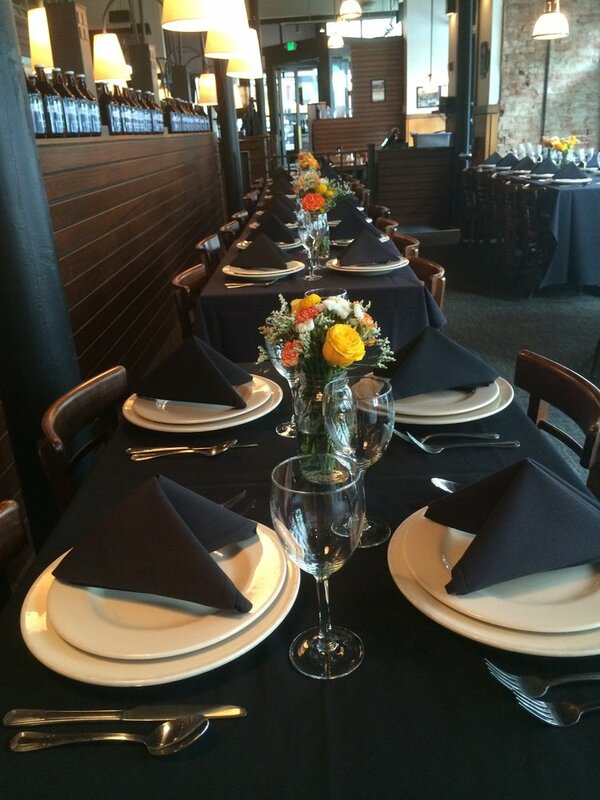 With views of our serving vessels, this semi-private space is perfect for small gatherings and intimate events. HDTV with HDMI connection for your company logo, slideshow, or presentation. Projector and Screen available upon request. A semi-private space just off the main dining room, the East Side Room can seat up to 50 people for a plated dinner or a cocktail style reception. With large windows spanning the length of the room, The East Side Room is a great space to enjoy time with friends and loved ones. Giant Jenga and various board games available upon request. 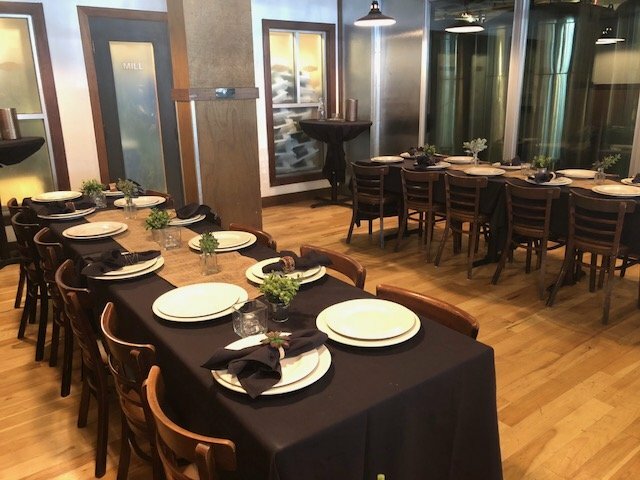 Located directly across from the brewery on the mezzanine level of our restaurant, The Billiards Rooms can seat up to 65 people for a plated dinner or 120 guests for a cocktail style reception. It is the perfect combination of dining and fun! 6 HDTVs with HDMI connection for your company logo, slideshow, or presentation. The whole Brewery & Restaurant has a maximum capacity of 400 guests. The main floor of our restaurant consists of the lounge, the main dining room and our Mill Room. 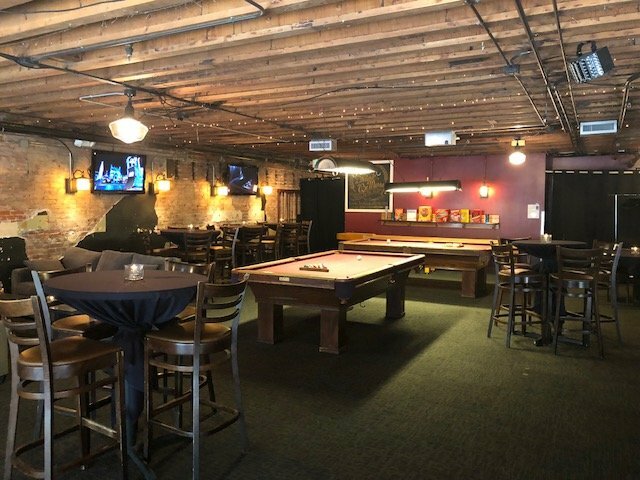 We also have our mezzanine level of our restaurant that has space for dining as well as pool tables, shuffleboard, board games and darts. Giving your guests plenty of options for entertainment with space to gather and talk. We can create customized menus which can include beer and food pairing stations and we are happy to work with you to see that your vision comes to life! We work closely with our Chef to make sure all dietary needs are met and everyone's tastes are accommodated. We can also incorporate brew tours into your event here at Rock Bottom. Your guests can meet the brewer, sample a beer and tour the brew house. Your perfectly crafted event awaits!